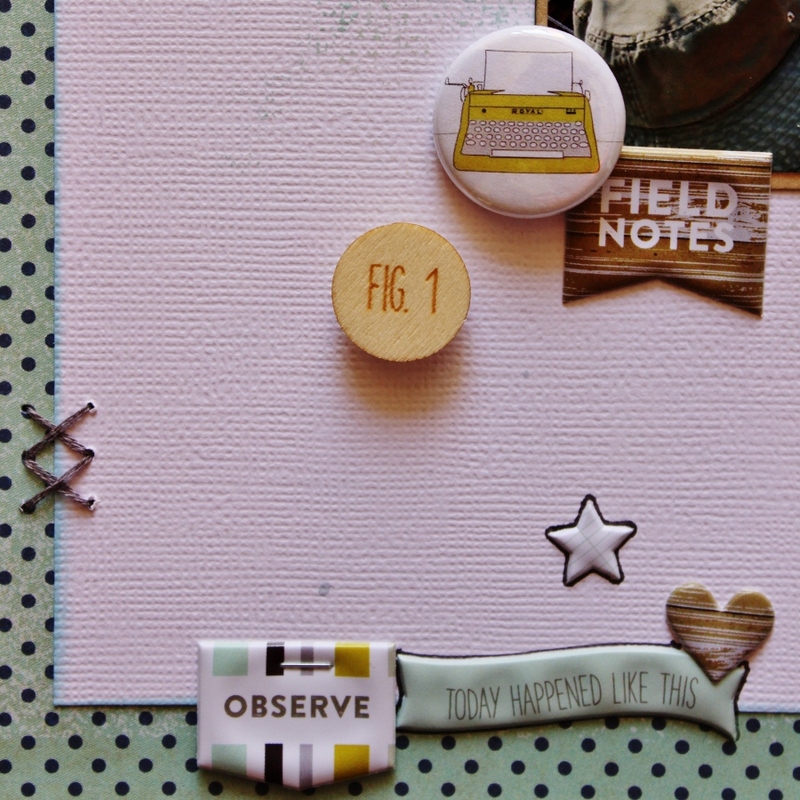 Laura here today sharing a new project, I have been having so much fun with the Field Notes collections it has been just perfect for documenting all our little adventures! 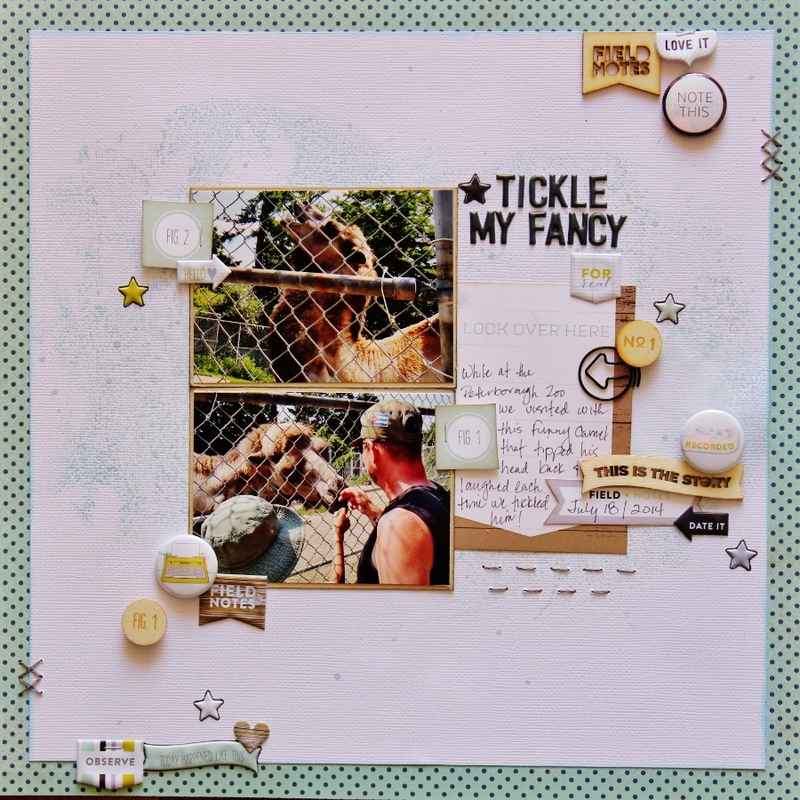 This layout features photos taken at a zoo near our trailer, this funny camel loved to be tickled and then tossed his head back and laughed every time, it was the cutest thing! I really wanted all the colours in the embellishments to pop, so I started with a white background, adding some Distress Ink and then mounting it onto this fun MME polka dot paper. 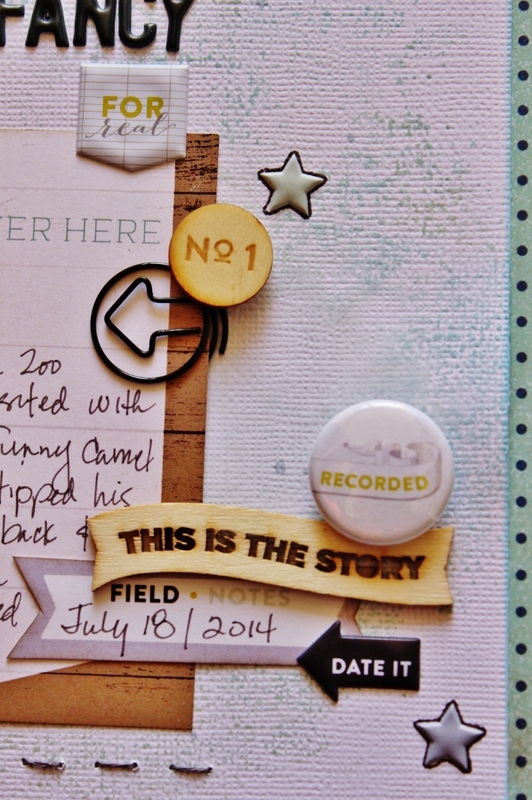 You can see my trademark of lovely little clusters of embellishments around the page. These wood veneers are just amazing! Clips, puffy stickers and page tabs adorn both sides of my central focal point. A bit of stitching and doodling, round things off. I love how the colours in this collection, play off my photo. 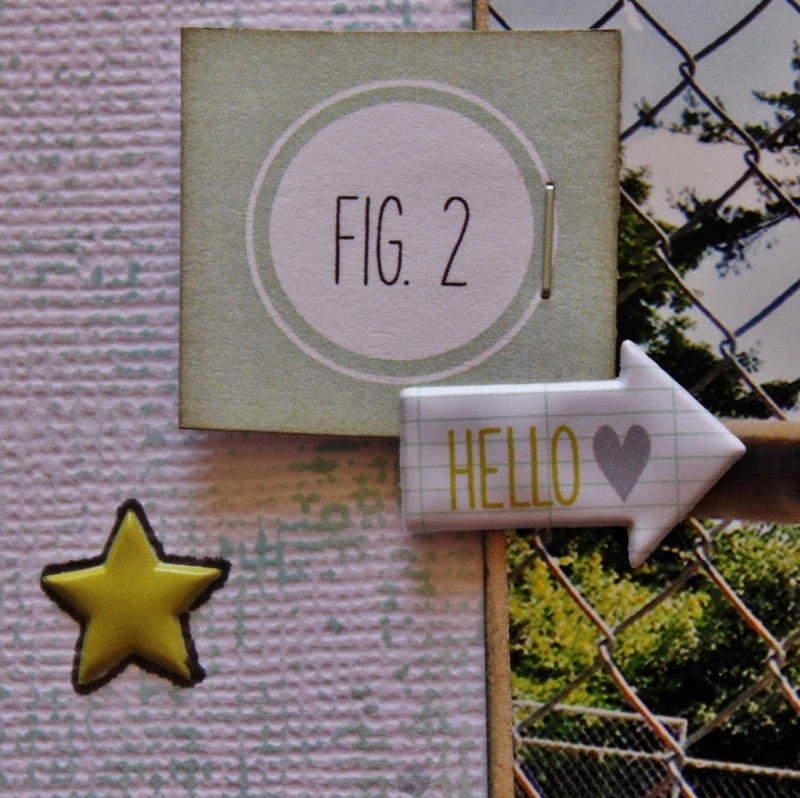 Other products: Patterned paper - My Mind's Eye; Cardstock: American Crafts; Tim Holtz Distress Ink; Amy Tangerine floss; Tim Holtz Tiny Attacher; Smooch Sprtiz; Staedtler pen. 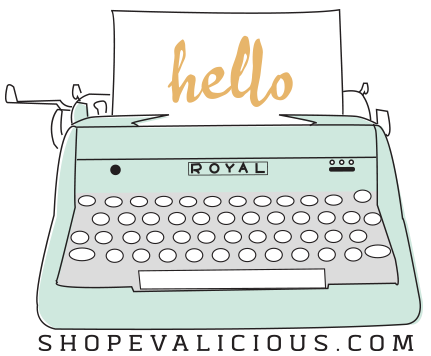 Also, I wanted to let you now that whenever you place an order with Evalicious, you can type in the code LAURAWHITAKER15 to obtain 15% off your order. 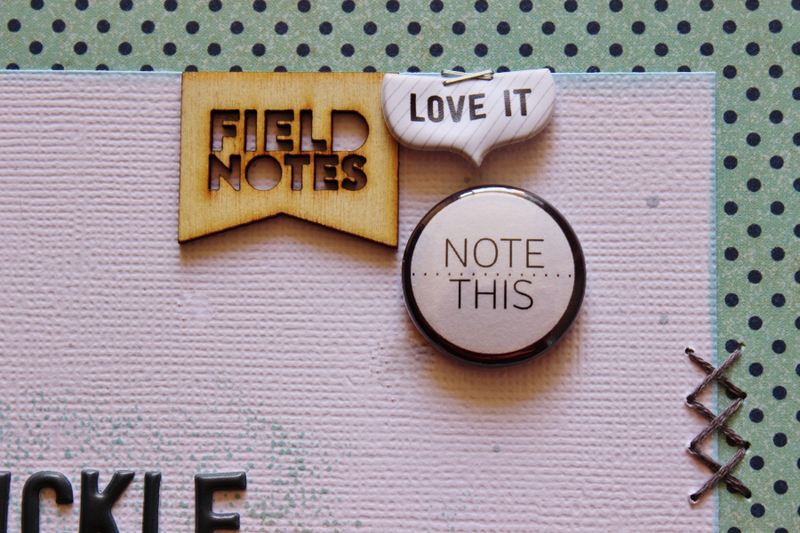 Just a little perk for following along with my crafty adventures and sharing my love of Evalicious goodies!